When Jill Konrath got her start as a sales rep for Xerox in 1978, she thought cold calling was “the most fun thing in the whole wide world.” Today’s cold call, however, is not what it once was. Konrath learned that fact firsthand in 2000, when the economy forced her clients to downsize and her sales consulting business crashed. She went from five months’ worth of projects to none – overnight. After much research and experimentation, Konrath finally got her cold-calling mojo back and was able to rebuild. Today her sales consulting firm works with such clients as IBM, GE, and Cox Media, and Konrath has become a popular speaker at annual sales meetings and industry events. She writes a monthly e-newsletter that reaches an audience of 20,000 sellers worldwide, and she also maintains a top-ranked industry blog (www.sellingtobig companies.blogs.com). Her book, Selling to Big Companies (Kaplan Business, 2005), has been an Amazon Top 25 sales book since its release three years ago. In this interview, Konrath shares specific and proven practices that can help reps survive and thrive in a delete culture. 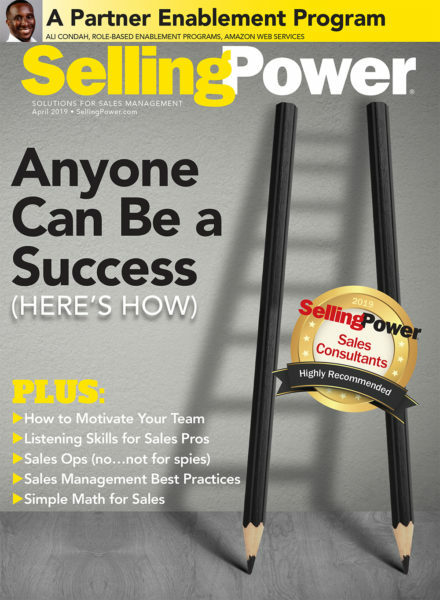 Selling Power (SP): So, tell us about the new philosophy of cold calling. Konrath: Out with the dialing for dollars. You have to [regard cold calling as] a campaign. Konrath: Yes. A marketing campaign, not a sales campaign. There’s a price position to get into companies today, and the price is that you have to have done your homework. It’s crafting relevant messaging that demonstrates that you have paid the price of admission. SP: What’s the price of admission? Konrath: I’ll give you an example. The traditional messaging for getting in is, “Hi, Lisa, this is Jill Konrath calling from Selling to Big Companies. We’re a training firm that offers a wide range of training services for all of your salespeople’s needs, including negotiation, closing skills, and objection handling. I would like to set up a time to talk to you about how you’re handling your sales training and tell you more about us. Give me a call at your earliest convenience. Again, this is Jill Konrath at such-and-such number.” That’s the traditional message. SP: That sounds like a very good message to me. Konrath: Very nice, very gracious, right? And the minute they hear, “Hi, this is Jill Konrath from Selling to Big Companies. We specialize…,” they delete you. SP: Is “specialize” the word that gets you dropped? SP: So it’s because the message is all about you and not the prospect? Konrath: First off, it doesn’t show that you have done any homework on the prospect’s organization. So you have not paid the price of admission. Here’s an example to compare it to: “Hi, Lisa, this is Jill Konrath calling. A recent Business Journal article stated that your company received $15 million in venture capital funding to help your sales organization move up-market. I know that you sell technology and that it’s a real challenge for technology salespeople to call on corporate decision makers outside the IT arena. I have some ideas on how you can help your salespeople crack into corporate accounts and speed up your sales cycle. Let’s set up a time to talk. Again, this is Jill Konrath.” And then leave your number. The other one is confident. It demonstrates immediately that you’ve been researching the prospect’s company, and that shows the prospect that this is not a call that’s for anybody else. Remember, that’s the price of admission. You’ve got to demonstrate that you’ve done your homework. In this case, the business issue that’s important to the prospective client is that his or her salespeople are expected to call up-market on larger companies and that it’s a challenge for technology types to contact corporate decision makers. Konrath: Yes. Those are business drivers or business issues that the decision maker is challenged with. SP: So you give all the traditional information at the end rather than first, saying this is who I am, this is my company, this is what we offer. Konrath: What you offer is irrelevant. Your goal when you cold call is to set up an appointment to talk about the business issue, not to talk about your product. The reason the second message works is because it piques the decision maker’s curiosity. He or she wants to know how you’re doing it. 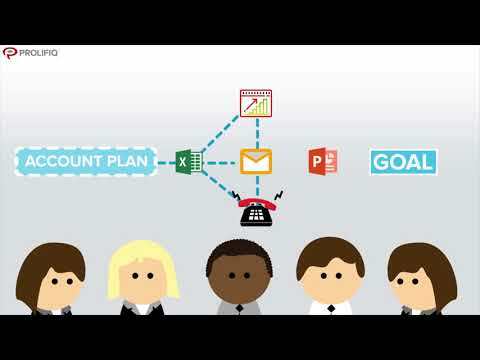 SP: Is this new-and-improved voicemail a major building block of the cold-calling campaign? Konrath: It is. All messaging has three components. First, you establish your credibility by doing your homework and showing that you understand what’s going on in the prospect’s business or industry. Second, pique the prospect’s curiosity. Come prepared with ideas or information that could help the person achieve business goals or solve specific problems. SP: And then the final element? Konrath: Close with confidence. You have to sound like a peer, not a salesperson who would be delighted to get 30 minutes of the prospect’s time. SP: So lose the gratitude. SP: People want to work with someone who can take control, is what you’re saying? Konrath: Absolutely. Decision makers don’t have time to deal with people who don’t get it. That’s why your messaging has to give a quiet confidence that demonstrates an understanding of their issues and their needs. A quiet confidence, not phony exuberance. Konrath: You can also take it right into an email. In fact, your campaign should be a one-two punch. After you leave a voicemail, you send an email with the same message, only with relevant links to some educational material, not promotional material. You have to forget brochures. Brochures are out. Konrath: As a decision maker, do you want a brochure? No. Send a link, but not to a brochure. I would send a link to a case study of how I worked with another client or how our company worked with another client to shrink time-to-revenue, or how our company was able to reduce hospital stays by 27 percent or increase same-store sales. SP: This is not a link to your Website? Konrath: Absolutely not. It wouldn’t be a link to the general Website. It has to be a link to an educational piece on the site. Don’t just give the Website address and write, “Visit our Website.” In this whole campaign you need to demonstrate expertise in solving relevant business issues. You have to focus on your value proposition, which is the business outcome that somebody gets from using your product or service. SP: So you don’t take them to a site where they would have to look around and do work. You bring them to a specific item or page on the site. Konrath: With a good, valid business reason why they would want to check it out. Write, “I thought you might be interested in this article on how another firm like yours was able to drive costs out of its supply chain,” and then provide the link. SP: What if you write, “I read this and thought of you”? SP: What does it need? Konrath: It needs to show what’s in it for the prospect. “The last time we talked, you mentioned that one of your concerns was X, and when I read this article I thought of you.” It needs a frame. The prospects you’re cold calling don’t know you well. If, by contrast, you sent an article that demonstrates how one of their competitors was able to make a big impact, the decision makers will wonder, “How did they do that?” Then you’ve got their attention.